You’ve stumbled into a career slinging words for cash on the internet, but why? Why are companies so interested in content? Well, the answers vary. Businesses use content to explain their products, shape their brands, and position themselves as thought leaders in their industry. But the main purpose of web content is SEO. 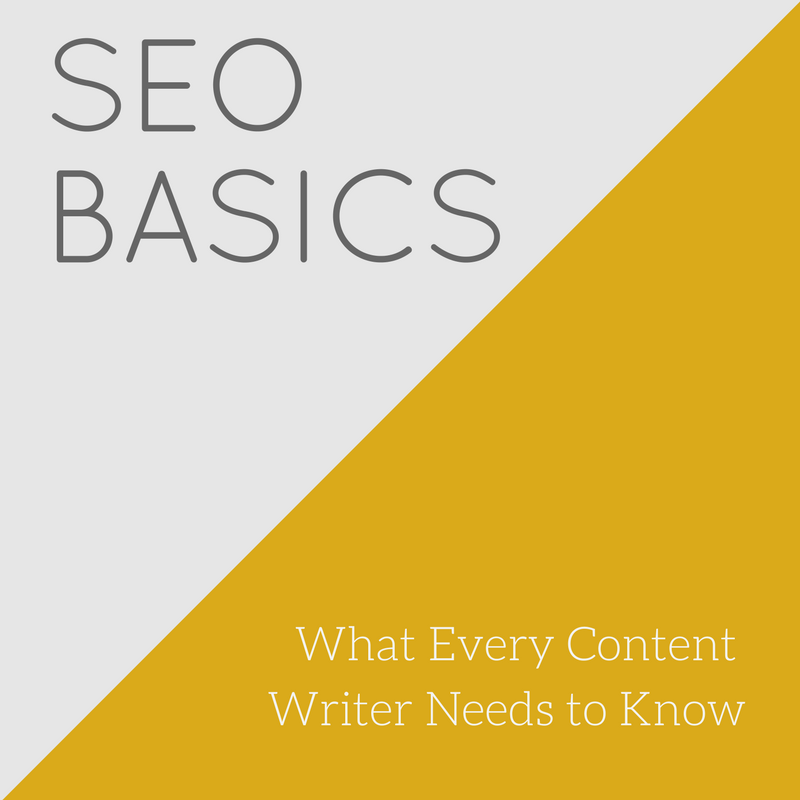 To be successful as a freelance content writer, it helps to at least understand the basic concepts of SEO. When you understand the essentials, it’s easier to generate great content and help clients figure out what they need SEO-wise. What Do SEO and SERP Mean? SEO stands for “search engine optimization.” It refers to the process of optimizing a website so that search engines, like Google, notice it and suggest it at the top of their results pages. Businesses and website owners use SEO to drive high SERP ratings. SERP stands for “search engine results page.” To get traffic, companies want their sites as close to the top of the SERPs as possible. That’s the entire point of SEO. Achieving great SERP rankings generally involves focusing on certain keywords. What’s the Deal With Keywords in SEO? Keywords are any words that potential clients are likely to search when looking for a business or when trying to find out information related to a certain product or service. Great web content needs to be sprinkled with keywords. A few years ago, most web content writers aimed to hit a certain density of keywords in each post, but the perfect density was debateable. Some thought 5%, others targeted 1%, and still others just stuffed as many keywords as possible into the content. Now, search engine algorithms are a bit older and wiser, and those tactics don’t work. The search engines weed out sites that are guilty of keyword stuffing. Instead, search engine algorithms give prevalence to sites with naturally flowing content and keyword-related phrases. When those elements are in place, the search engines believe the text covers the topic comprehensively and intelligently, and they reward that with high SERP rankings. As a freelance content writer, you may occasionally need to choose keywords for your clients. A variety of free tools and paid services can help marketers hone in on the right keywords. SEMRush, Google Keywords Planner, Moz’s Keyword Research Tool, and others show you the popularity of certain keywords and phrases so you can decide where to focus. Some keywords are extremely competitive—think “dentist,” “how to get out of debt,” or other commonly searched phrases. To get around this, marketers and writers find niche (less common) keywords or focus on long tail phrases. For example, a long-tail keyword may be “dentists for people with anxiety” or “how to get out of debt before you buy your first house.” Solid marketers and content creators also tap into geolocal elements of SEO. It’s important to remember that the search engine algorithms exist to help consumers. They are not there to thwart marketers. To that end, search engine algorithms assume that if someone in Philadelphia is searching for a dentist, then that person doesn’t need or want to see search results for dentists in Denver. Consequently, businesses with a locally based, brick-and-mortar presence also need to focus on local SEO. That can involve using keywords paired with a location such as “dentist in Atlanta.” It’s even more important to have a confirmed listing on Google My Business, which is basically the phone book for the internet. If a business isn’t there, the search engines aren’t going to pick it up. Businesses also need to echo their listings by having their names, addresses, and phone numbers uniformly noted on every page of their sites. A business’s SEO rankings also improve if the business is listed and reviewed on local and national review sites. For example, plumbers need a presence on Angie’s List, while restaurants need positive ratings on Yelp. On top of all that, websites that want to get noticed need links. In fact, links can be a critical part of SEO whether you’re trying to get your business website ranked locally or internationally. Why Are Links Important in SEO? To understand the importance of links, imagine the internet as a net. If a website is connected to other parts of the net, it’s easier for the search engines to find it. When a website is floating off on its own, untethered to other sites, the site is harder to find. That said, there’s a lot of debate on which links work. Almost everyone agrees that internal links are great. Internal links are links from one page on a website to another page located on the same site. These links help establish the internal structure and organization of a site, but beyond that, they help with the site’s SEO. The exact role that internal links play in SEO is complicated, but to get a basic understanding, imagine a search engine as an adorable little bug crawling around the internet. When pages are linked, the adorable bug can easily crawl from one page to the next looking for the right result to feed to the SERPs. When pages aren’t connected, the bug has a harder time finding each page. By creating internal links, you make it easier for the bug to crawl around your site in particular, and when that happens, the bug is more likely to suggest your pages on the SERPs. External links are links to other sites. Some marketers believe that external links are useful for improving SERP rankings; others shy away from external links because they encourage readers to navigate away from the original site. To illustrate, here’s an external link to a Moz post about the external link debate. If that Moz link hasn’t enticed you to navigate away from this post, you’re in luck! You get to learn about backlinks. Backlinks are links on other sites that go back to the client’s site. Again, this is another hotly debated topic in the world of SEO. The current belief among many marketers and writers is that backlinks are extremely useful if they are from quality sites. To build up backlinks, it helps to have a presence and a link on review sites and social media platforms. Many marketers also pen guest blogs or articles on a range of news and information sites. Then, they either anchor a backlink to a keyword in the post or include a link with their author profile. Some marketers even create sites that are expressly for the purpose of planting backlinks. What About Headings and Tags? Outside of the heated debates on links, there’s a wide consensus about one SEO tactic, and that’s the use of tags. The most effective place to put keywords is in headers. For instance, if you’re writing a post on SEO that freelance writers need to know, you might want to use headers such as “what is SEO” or “why are backlinks important in SEO.” Think of headers as phrases that are highlighted on a site—they are easier for the search engines to notice. In addition to headers, there are also title tags and meta tags. Title tags describe what a site or page is about. They are displayed at the top of the web browser as well as on the search engine results page. The exact amount of room that the search engines leave for title tags varies, but for best practices, most effective marketers shoot for 60 characters or fewer, including spaces. Slightly less critical but still important, meta tags are the description of a page that appears below its listing on the SERP. These tags also need to be keyword rich. Are Images Important in SEO? Yes! Images can have a huge SEO value to a company’s website. Relevant images make a site more likely to pop up in a Google image search, and some web users may navigate to a site from there. On top of that, quality images with keyword rich captions also help drive organic SEO. If you work as a freelance content writer, you may work with SEO companies or marketers who do all the SEO work for you. They let you know which keywords to include and which densities to target. They give you guidance on the links and tags they want. However, once you start landing private clients or working with small business owners in your community, it helps to know some SEO basics. If you can give clients advice on what to do with their content, your services become more valuable and you can ultimately land more clients. Most importantly, keep in mind SEO is a huge beast. This information is only the tip of the iceberg, and SEO tactics constantly change. To be an efficient writer/marketer/content creator, check in on the trends and stay as up to date as possible. Here is a list of references for more SEO help. Kari has been contenting writing on various sites for six years. Recently, she took advantage of her job flexibility to move to her dream house in a tiny little mountain town. Like her, the house is high on character and low on shingles. When she's not putting pans under leaks or busy content writing, she fills her time making inappropriate observations on Facebook, coming up with strange ideas, hanging out with her unschooled kids, or eating snacks made by her husband, a retired chef and invaluable reference and idea generator on everything from submersible pumps to industrial scales to foie gras.